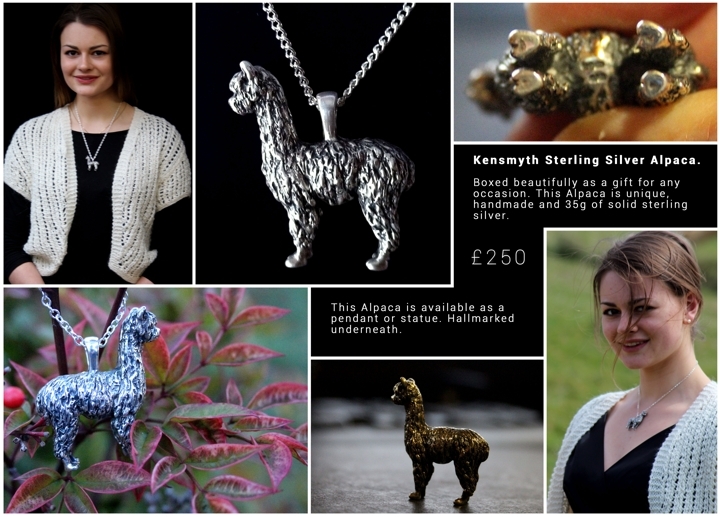 Wow – for this Summer we are introducing the Kensmyth Sterling Silver Alpaca Pendant or Statue. Handcrafted in the Cotswolds from the image of our own stunning Huacaya Alpaca. An absolute must for all discerning Alpaca lovers! Please note these are only available from Kensmyth Stud, only a few are stocked and are otherwise made to order.